Here's a link to an article in this morning's Washington Post about White House Christmas cards, including Tom's card for the Clintons in 1995. 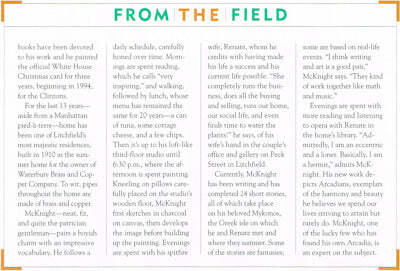 This article includes a mention of Tom, and a photograph of the card. 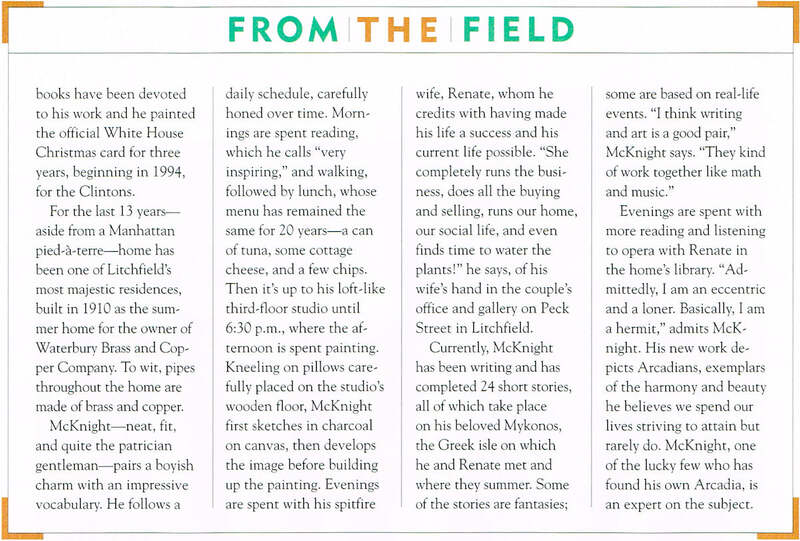 The New Britain Museum of American Art in New Britian Connecticut acquired an original Thomas McKnight painting entilted: " Return of the Gods" for their permanent collection. Welcome to the new official Thomas McKnight website. It is under construction and will launch soon! 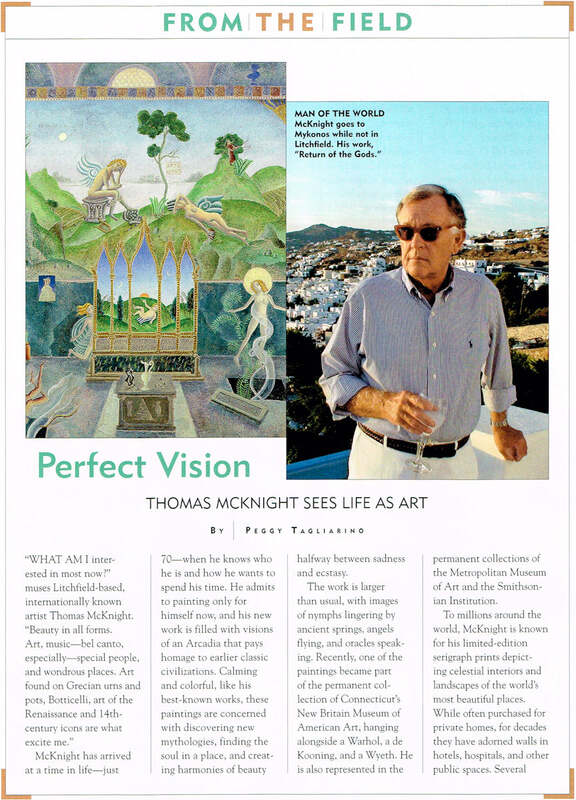 We will be offering Thomas McKnight original paintings, silkscreens, glicees and etchings. Signed and special edition books will also be available for purchase.